Watch Your Language - an ABC journalist complained this week about the overuse of the f*** word. They were complaining because the f*** word is now losing its impact, and they might have to find another word to shock. The cafe at the top of String Bean Alley (is it still Padres?) was playing some loud music on Saturday morning with constant reference to f*** which caused one trader to ask whether the music was really appropriate for mainstream family locations? Personally, I’m still trying to think of a replacement word for f***. Maybe A**zon? AFL Cup Is Coming To QVM – apparently the cup will be here (corner Queen and Therry Streets) on Tuesday 26th between 11:00am and 1:00 pm. Feedback – Paul was keen to point out that we all see things through different lenses and it was important for traders to raise issues that management might not be aware of. He even said, if you don’t like the answer you get, ask again. Category Managers are the contact point for most matters. Gaps – unsightly gaps in the top end are an issue for many traders although Paul indicated there were difficulties correcting that in the short term as traders continue to take leave. Planning Applications – the new pavilion on Queen St. has been approved. PA System – apparently there was plenty of discussion around how to better utilize the PA system. TV Advertising – very expensive. QVM Roadshow – at least one trader liked the suggestion of taking the market out to regional areas to promote to country visitors. Queen St. – apparently 24 of the 28 Queen St. traders are having meaningful discussions over relocation prior to the new pavilion. Filling The Gaps – this was discussed at the CEO briefing without result, but there is talk amongst traders about moving C,D,E Shed traders over to J-M Sheds immediately to fix the problem and help create the intensity and buzz that is missing with unsightly stall gaps . It would be important to professionally cordon off the future construction zone rather than just leave empty space. Traders often talk business but one trader noticed this week that when times are really tough we tend to divert our discussion to alternative things like sport, or family. There has been plenty of alternative discussion this week. Seeking a Manager – One of our traders is seeking a Stall Manager who loves the social interaction we get at QVM and doesn’t mind our strange work hours. An old fashioned retail sales person might be ideal and if you know anyone please let us know. 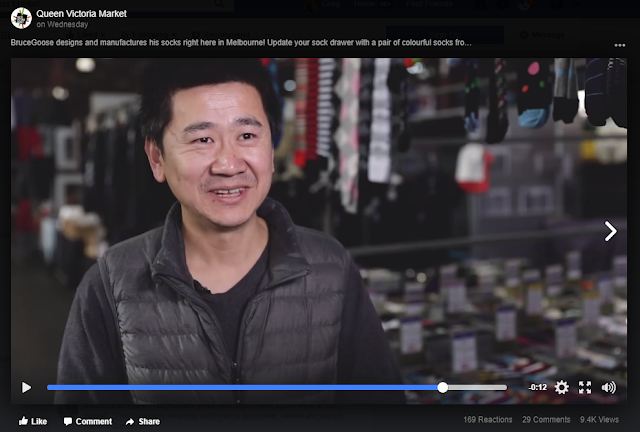 Today’s Product Focus - In Bruce Goose’s Aussie Made Video he mentions that when his family first started at QVM, the market suggested that they should take on socks for their product focus. One trader was wondering what they would be recommending to today’s new applicants. 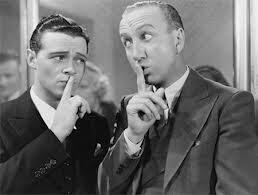 Venting - There is a famous retail sign that says something like "Every retailer should be given at least one day per year when they can say whatever they like to their customers". Containing our emotions is not always easy and a trader has suggested that Victraders should have two columns for venting. One would be for traders who could say whatever is really frustrating them. And one could be for management staff for the same purpose. 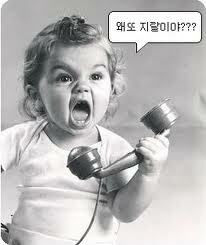 We might need to have some rules on language but getting rid of frustration could be very therapeutic for everyone. 1. Seiko has opened its first standalone Melbourne boutique in Little Collins St.
2. Taco Bell to have its third attempt at the Australian market. 3. Cosmetics retailer, Mecca Maxima, opens its largest Australian store at Wintergarden, Brisbane. 4. Four’N’Twenty launches first non-pie product, describing it as a “crispy breadcrumb parcel”. 5. Homeware chain, Moss River, appoints administrators. 6. Myer has nominated ex-Spotless Group chaiman Garry Hounsell to be its next chairman. 7. Uniqlo adds new store at Highpoint Shopping Centre. 8. Nordstrom opens first merchandise-free concept store with services, a bar, and online buying facilities. 9. Tough trading conditions causing many Bourke Street Mall shops to reconsider their location. 10. Aldi’s wine has been described as a health threat because it is so affordable. 11. Grill’d wins Roy Morgan customer satisfaction survey for food category. Bruce Goose is the feature Aussie Made Champion at QVM this week and his video on Facebook already has thousands of views. 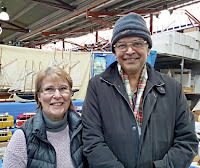 Bruce is a proud market trader and he describes why he likes working at the market - "Its like family.. its more than family...for some, this is their family." The store with the iconic yellow boot has just embarked on a new retail trend which may define future retailing according to Forbes magazine. 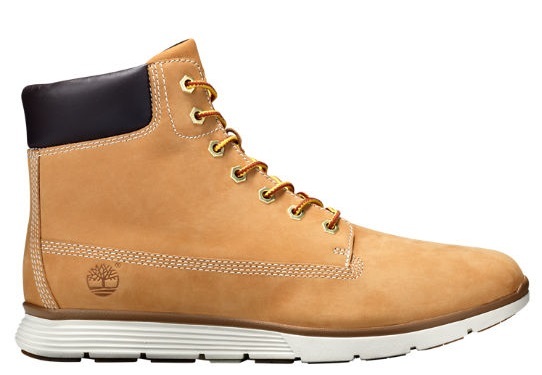 Timberland says that the age of the standard footprint store, rolled out to multiple national and global locations is no longer appropriate. They are experimenting with “pop-up” stores that meet the needs of a particular location and can be set up in 3-6 days, not weeks. A Timberland spokesperson said “The thing with retailing today is every store shouldn’t be the same. Every store can’t be the same.” Timberland say that setting up stores that respond to local conditions and demands is already paying dividends. 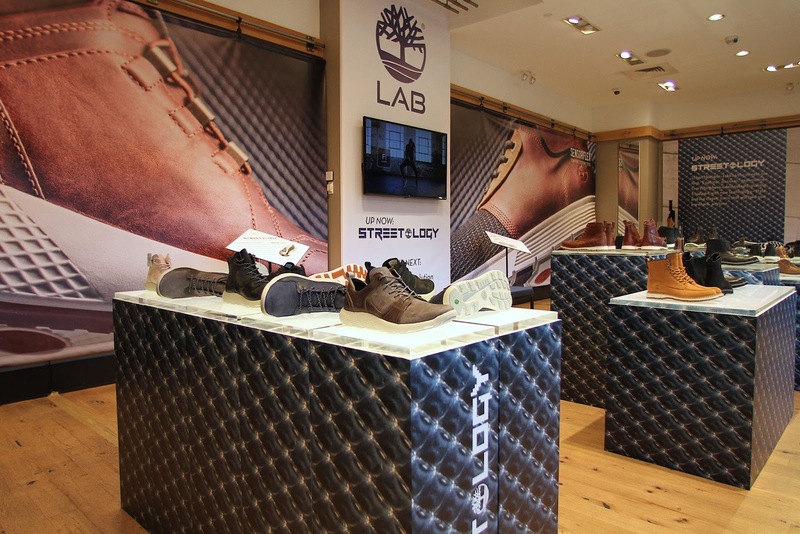 The other concept that Timberland is experimenting with is their TreeLAB store. TreeLAB is a store that concentrates on telling a story based around one single component or theme of the Timberland product range. It's first story was called “Streetology” and focussed on their combination boot/sneaker range. Being smaller, and more flexible seems to be the philosophy here. Many consumers are concerned that the perfect appearance of food at supermarkets means that a lot of “imperfect” food is being dumped somewhere in the process. In recent years some supermarkets have made a feature of selling “less than perfect” food. Usually the “less than perfect” bit relates solely to appearance. 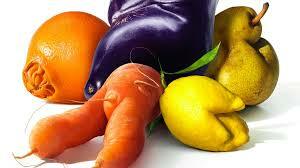 Knobbly potatoes, disfigured carrots, and strange shaped fruit are just some examples. In all these cases the essential nutrition of the food is unaffected. Tesco in the U.K. have just sent a wave of relief through U.K. apple growers by announcing that this year’s crop, slightly blemished by unseasonal frost, will make it to their shelves. Retailers Suffer Social Media Backlash. Embattled retailer Big W has been in the news for all the wrong reasons this week with two episodes that might make them look at some of their marketing and in-store practices. First was the furore over making Christmas trees and decorations non-Christmas. 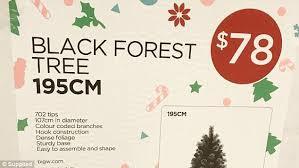 Big W were promoting Christmas trees as “Grand Pine Tree”, “White Forest Tree”, or “Black Forest Tree”. It would appear that attempting to tread the middle road of religious beliefs has back-fired big time for Big W with shoppers complaining openly on social media. Now they have a shopper complaining that she has been victimised by Big W staff who attempted to remove containers of baby formula from her trolley in case she was on-selling to China. There is a huge demand for Australian baby formulas in China following following health issues with products from other countries. The customer was Asian in appearance although the fact that she had a 7 month infant at her chest seems to have escaped the notice of shop staff. At least that is the way social media has interpreted their action. And it is not just Big W in the wars this week. Aldi have copped social media criticism for “treating their customers like cattle”. Apparently a particularly sensational special toy offer involving kids ride-ons for under $200 had queues of eager customers lining up for some 40 minutes prior to store openings in some locations. Customers were disgruntled to find that some stores had only two items in stock. 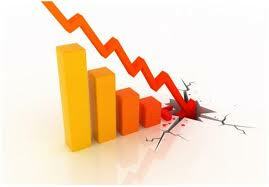 Blatant loss-leading can have a price in consumer dissatisfaction. 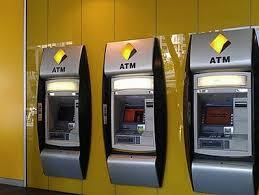 One of the most hated little expenses that annoys shoppers is the $2 or $2.50 fee to withdraw cash from ATM’s. Well the Commonwealth Bank has announced that anyone can withdraw cash from their ATMs without fees starting right now. Other banks have been urged to follow suit. Of course the convenience of having ATMs at every corner (including the aisles at QVM) has been driven by the fact that they make considerable profits for the machine’s operators. It is estimated that Australians pay $500m per year in ATM fees for withdrawals from institutions other than their own bank. The action by the CBA is likely to impact significantly on the banking industry and is seen as a great win for shoppers. As retailers chase after the Holy Grail of serving customers in a retail revolution we have come across some unusual innovations and Nordstrom’s store with no stock is way up there or is it? Nordstrom Local is a new, smaller footprint store that focuses on experiences rather than physical stock. Customers can buy online and pick-up instore, as well as get a drink from the bar, chat with stylists, have their clothes altered, return a purchase, or get a manicure. It is all about service, speed and convenience. The no-merchandise store might seem highly unusual although as one commentator has pointed out, it is not unlike what Apple do with their highly successful Apple Stores. Yes, you can buy physical goods in Apple Stores, but it is the service elements that are more difficult to do online, that are the main focus. They include detailed personal service and advice, returns, repairs, and of course the opportunity for hands-on experience with products. I always new there was a good reason for having a bar at my market stall. When you edit a website devoted to an incredibly evolving industry like retail you get lots of information across your desk and lots of views on what is important. This particular article has a lot of take-aways that help identify what is now important in retailing including a primary role for bricks’n’mortar. It is talking about New Retail, based on developments in China, but is written by a Silicon Valley Venture Capitalist and a Venture Capital Analyst who has written in a number of publications. 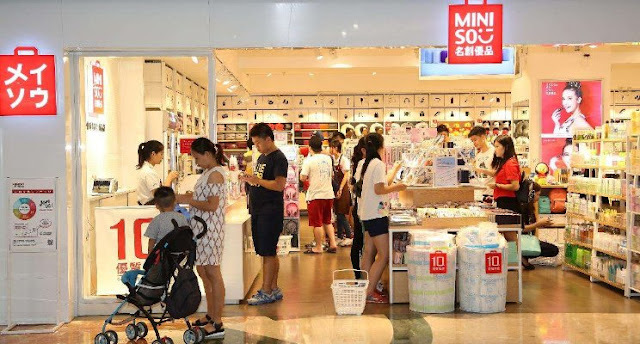 New Retail is described as “a relentless focus on customer experience, and extreme attention to details.” It is embodied in many Japanese bricks’n’mortar retailers which this article points out are growing faster in Japan than online. Compare that with the experience in other parts of the world where traditional retailers are struggling. They conclude the article with the proposition that New Retail involves getting your customers to ask an important question - "How in the world do they sell something so beautiful and high-quality so cheaply?" The full article is here – What Is New Retail? 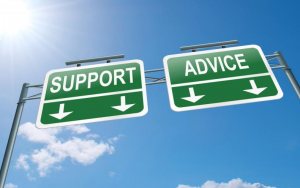 Two aspects of the support offered to traders during the renewal process are the Trader Support Program and the Trader Support Fund. One is primarily about business support, including business partners, training, tools and other measures like rent abatement, and one is about financial support for traders experiencing hardship due to renewal. The aim of these two components is to diminish the impact that renewal might have on trading and to prepare traders for what lies ahead. The support program will be relevant not just for renewal but also for addressing the retail revolution. All parties agreed that given that the Support Program’s aim and purpose is to help minimize impact to businesses it cannot be a 'tick the box' exercise, hence a major emphasis was discussed around the need to constantly and progressively monitor results and the efficacy of the Support Program - i.e. Asking Trader participants to review their participation and the assistance provided by various information and advice providers. a) The Agenda Item relating to the Fund at the CoM's 28/8/17 Council Meeting was amended so as to allow for Trader feedback on the setting up and running of the Fund. b) As a result feedback has been sought from the TRC and Traders. c) Discussions have taken place regarding the specific questions and concerns already expressed by Traders (see below). d) Opportunity for trader feedback is still available. 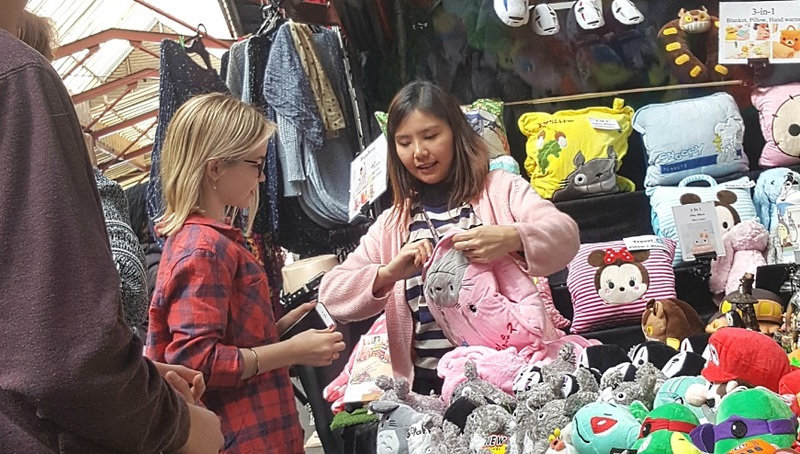 Traders can view the draft Establishment Rules of the Trader Support Fund on the City of Melbourne website(click here) and provide feedback by emailing qvmrenewal@melbourne.vic.gov.au by Friday 29th September. 2) Given that serious limitation, the Fund needs to be administrated so as to ensure the most efficient and fairest possible use of those limited funds. 3) Concerns around the Establishment Rules prescriptive approach and the need for more discretion and flexibility to be written into the Rules. 4) The need for the Fund's Establishment Rules to more closely recognize and reflect the vast divergence in the types of businesses that trade at the Market and their exposure to risks and hence their 'safety net' requirements whilst at the same time ensuring that funds are not exhausted inappropriately. 5) And finally the inclusion of a review procedure that will permit Claim denial decisions to be able to be reviewed. Further discussions are to take place. The lag between retailer experiences and economy-wide hard data can be frustratingly long but there appears little doubt that the recent sales drop experienced by market traders is being confirmed by official figures. The last ABS figures showed that after some positive signs in June retail sales reduced to flat in July. And now it looks like August was significantly worse. The National Australia Bank’s Cashless Retail Sales Index released today shows a broad-based slowdown in August. The yearly increase in cashless retail spending was measured at 7.7% in July but down to 5.3% in August and that single month’s decline is particularly pronounced. This index only tracks non-cash (essentially card) spending but is considered a fair guide to overall spending. Toys’R’Us filed for Chapter 11 bankruptcy in the USA and Canada this week, while their Australian operations are not part of the application. Filing for bankruptcy is not uncommon on the US retail scene particularly for businesses looking to restructure their debt. Toys’R’Us has a $400 million debt due in 2018 and that needs attention. 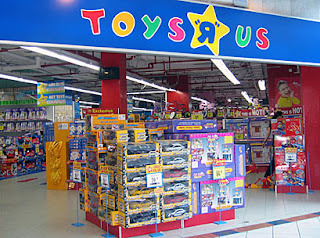 Australia is one of their bigger markets and a local spokesperson said “"Our stores are open and will continue to provide Toys"R"Us Australian customers with our signature fantastic service,". 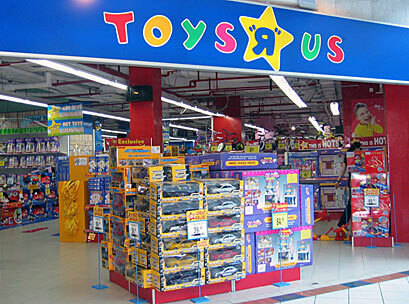 Toys’R’Us planned to open 4 new stores in Australia this year. We mentioned in Heard Under The Sheds that RonnieZ's caravan had featured in an Instagram post this week with over 20,000 likes. Well, here it is. 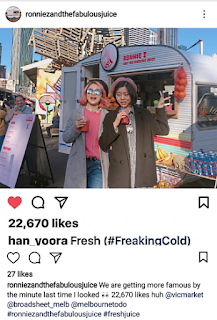 Instagram is favoured by a number of traders for its simple immediacy, widespread acceptance, and capacity to go viral if the right followers latch on. In today's new world of social media communication this is one option that traders should take advantage of. Why not get Instagram on your mobile phone and start experimenting. The exposure for Ronnie's business is great. He doesn't actually feature in the photo (maybe he is taking the shot) but we notice that trader, Tony Pierrakos, managed to get in the background. 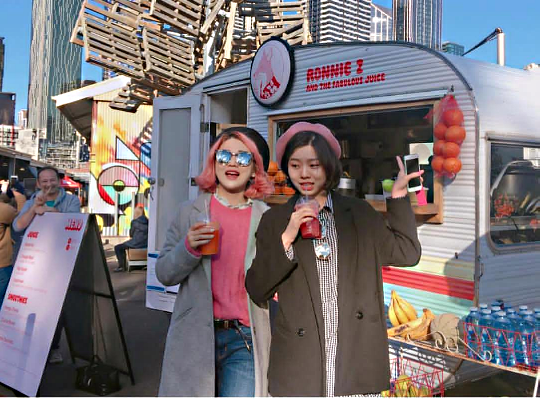 RonnieZAndTheFabulousJuice Gets Exposure – Ronnie tells us that a high profile blogging group took a photo at his caravan on the top end of String Bean Alley this week which earned him over 20,000 views on Instagram. He might have to move to Korea to get the full benefit of that exposure but then today he has featured in an Age article which included photographs. Ronnie has a point of difference and apparently is social media savvy which might suggest opportunities for other traders. - Who was the author of the letter? The letter was not signed or dated. It did have a union logo although it is not clear whether it was from Trader Representatives, the union, or anybody else. - We are told that some Trader Representatives had no idea the letter was going out which brings into question whether this was an autocratic action by a few. - If the author was the TRC who gave them the approval to refer this matter to a union on behalf of traders? - Many traders are uncomfortable with union involvement given the union’s adversarial and anti-business approach. - If Management hasn’t been communicating properly it needs to lift its game. - There have been previous complaints about rubbery meeting agendas and failure to produce minutes. 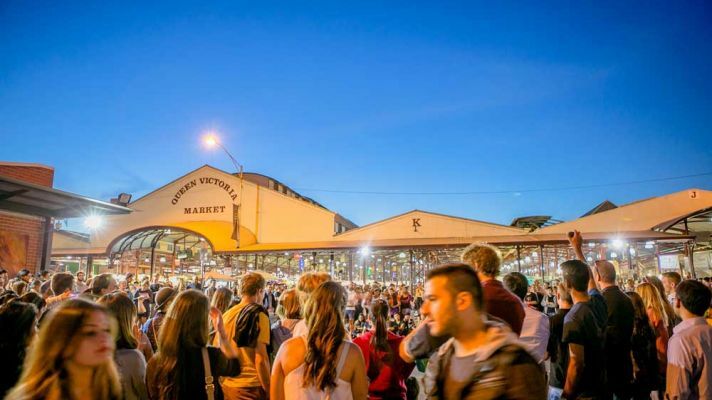 Night Market – rumour has it that the Night Market operates at a loss. The Winter Night Market has only 80 traders and significant setting up expenses so it is no wonder. One trader has suggested the answer is simple – open up to more rent paying traders. It will be interesting to see how the Summer Night Market is set up. Its AFL Finals time – the Herald-Sun had a front page and back page concentrating on Friday night’s game at the MCG and the fixture offered one local and one interstate team. The conditions were right for a good crowd at QVM. But as one of our football dependant traders said – “There is just no buzz, not the normal football energy”. 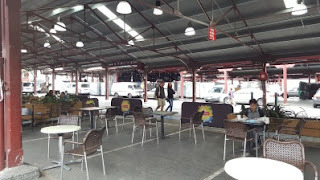 Coffee Room – On of the items of dispute associated with the withdrawal of Trader Representatives from the TRC was “A lack of proper access to facilities, equipment and space within the market precinct, to allow representatives to function properly”. One trader asks if that means they wanted a couch, card table and coffee machine. Parking Costs – a trader has pointed out an article in the Melbourne press with employees of retailers at major shopping centre (Southland) complaining about being asked to pay $5 per day for private vehicle parking. Queen Victoria Market traders are generally parking vehicles associated with goods delivery and they have to pay $12 per day or $35 if they haven’t able to get a parking voucher. Sounds like the suburban employees have it pretty good or perhaps QVM Traders should be seeking a fee reduction. 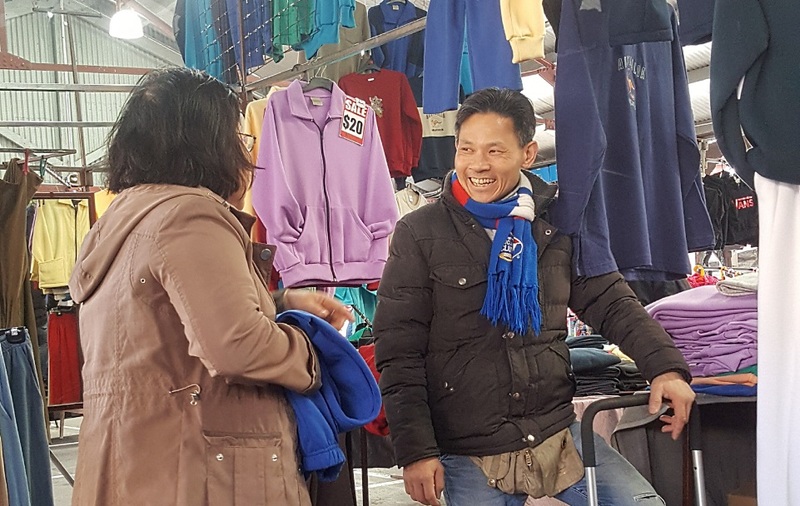 Stall Movements – a trader has been told by his Category Manager that stall relocations will be severely restricted while preparations are made for the removal of Queen St. traders and the impending relocation of C, and D shed traders prior to underground construction. 1. Aldi sets strict requirements on its Australian suppliers. 2. Craft beers are reviving beveridge sales at Coles & Woolworths. 3. Deloittes say eating out is growing faster than supermarket sales which could become a problem for Coles, Woolworths, and others. 4. Vinomofo launches same day delivery deal with Australia Post as it trumps Dan Murphy’s. 5. Woolworths launches new national “pick-up” service across 970 locations as competition with Amazon hots up. 6. Amazon’s conversion of Whole Foods pays dividends with items selling out. 7. July retail sales hold steady. 8. Myer confirms sales drop and foreshadows store closures. 9. Strong A$ makes us less attractive as a source for popular technology, with Australia now being 25th in the world for iPhone affordability. As Traders at the Queen Victoria Market we trade for many reasons including earning an income, but for many the most important aspect is social interaction particularly with the huge variety of customers that enter our stalls each trading day. Here are three more examples of Traders, and their customers, enjoying the process of engagement. Ragtrader Magazine has published an article under the heading "3 Traders Fighting To Save Australian Manufacturing"
The article features three traders recently promoted in the Champions Of Aussie Made Campaign run by QVM through an excellent range of videos that have gained wide attention on social media. 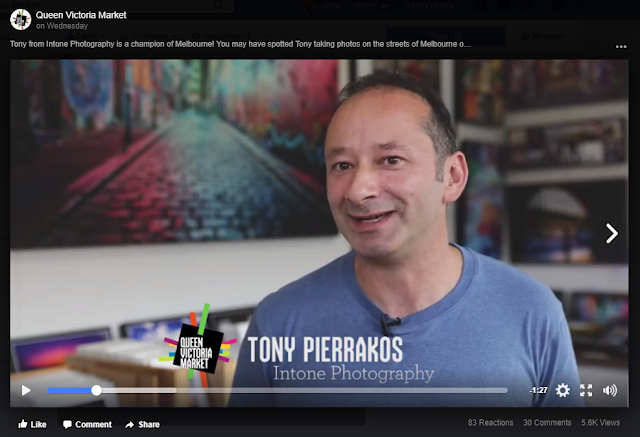 The latest video in the QVM's Australian Made Campaign features Photographer, Tony Pierrakos. Tony gives a wonderfully personal presentation of what it is like to trade at QVM. Click on the photo to be taken to the video. Our heading may be the understatement of the year on Victraders.com. The overwhelming sentiment under the sheds this weekend has been anger and frustration. Anger at the state of business and the poor response from customers as sales continue to decline. This is serious. September is one of our worst trading months and it is showing. Trader’s sales are reaching depths previously unheard of and the future is not looking good. The reason? This might sound stupidly simplistic but customers are simply not buying. There appears to be a significant reduction in willingness to spend and if we can put a customer hat on for a minute, who can blame them? The press is full of really good reasons not to spend. Wages are stagnant and we are having to eat into savings, power bills are up, mortgage payments take a huge part of our available funds and what if interest rates go up? There is talk of a real estate bubble and questions about the share market being able to keep climbing. What self respecting, family responsible consumer would go out spending? Of course our economy relies on spending to keep the wheels turning and generating confidence is a responsibility that Federal and State Governments are battling with. The Federal Government’s high profile “hauling across the coals” of power companies, and their pricing, is just one example (pun intended). And that leads us back to the anger thing. Blaming QVM Management and CoM is still evident amongst traders although there is a growing realisation that retail decline is in fact global. Many of the very best, smartest,and highly manouverable retailers are struggling. Myer reported an 80% drop in profit this week. And unlike what many traders are suggesting, major retailers are not throwing huge amounts of many at traditional advertising. Smart promotion these days is through social media and QVM is well equipped in that area. There has been a lot of press over recent months about the crazy ideas that retailers are trying. IKEA recently admitted that they will try almost anything to gauge customer response. Many organisations are releasing details of even minor trials like Australia Post testing a drone, Coles experimenting with grocery deliveries by bike (Deliveroo), and Amazon’s testing a shop without registers or staff (as far as we know that is still just a test). They do this because new ideas are worth trying but also because the results on social media are worth the effort. The spread of news across social media is quick, expansive and cheap and they are seen as innovative responsive retailers. Social media has great capacity to promote. 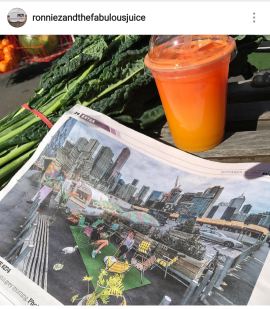 RonnieZ’s caravan at the top of String Bean Alley claimed to have got 21,000 views on Instagram this week after some professional Instagramers took a photo in front of his juice van and today (Sunday) he has been featured in an Age newspaper article. One industry very close to retailers that is battling consumer headwinds is of course wholesaling. If retailers are struggling with change so are their suppliers and even more so as retailers go direct to manufacturers. The gift trade exhibition circuit (key buying opportunities for retailers) has responded well to the downturn. Last July’s Melbourne Gift Fair looked vibrant and full. That was largely because they had amalgamated with the fashion industry and filled vacant spots with fashion. They had responded to change. 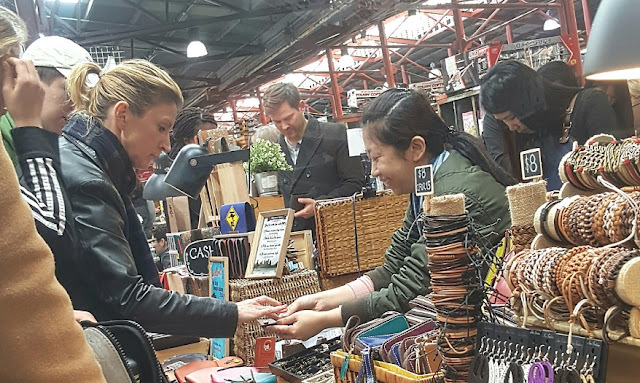 The upcoming Sydney Gift Fair (one of the biggest of the year) has been recreated into precincts with alluring names like Abode, Boutique, Galleria and Runway and advertises “80 new suppliers”. Re-inventing their presentation is expected to bring them results. Can QVM be flexible like that? Probably the single biggest concern of traders is losing their spot and will they end up in a worse situation. Well, the obvious answer to the second bit is that not changing will almost certainly guarantee a worse situation while curated change to a better presented market will offer some chance of improvement. And if you have a prime corner spot right now then you should receive a similar prime spot in any move. QVM Management need to do something serious about curating our market and presenting it in its best possible light. That may need more resources than they currently have allocated but it will also need a big dose of Trader co-operation to be effective. How soon can we start? Target is identified as one of the struggling big boys of the retailing world but if my shopping experience this week is a guide, they may be on to something. Guy Russo has been given the job of turning around the “middle of the road” department store after his huge success with Kmart. This one is probably taking a little longer than he would like but there are signs of change. For starters, Target has embraced some of the Kmart “super price specials” that are difficult to ignore. It has been a while since I shopped in Target and a couple of things stood out. I was shopping for a photo frame for a birthday gift and at Knox City Shopping Centre, Target seemed a logical destination. They had a selection of simple frame designs in various sizes but the price really impressed me. $8 for a 10” x 8” frame with two choices of mat boards seemed really good value. And before you accuse me of being a cheapskate, the frame will receive a significant photo. But then I went to buy a card and wrap, and Target had really got this right. Like many consumers I am uncomfortable with the ridiculous price of wrapping paper and cards from traditional outlets. I am used to paying $5 - $6 or more for wrap and the same for a card but at Target I chose a contemporary design gift bag for $3 and a card for $2. I could have purchased a 3m roll of wrap for $2 with an astonishing choice of designs and spent as much as $3 on a card. That was good value - a big tick for Target. The other thing that struck me about the Target shopping experience was the check-out. We were directed by staff to a self checkout counter which at first we balked at, but then realised it was just like a supermarket checkout, and operated pretty efficiently. However, as market traders, we certainly felt sad at this trend to impersonal shopping. Even Aldi gives you personal contact at the checkout. Sorry Target, no tick here. 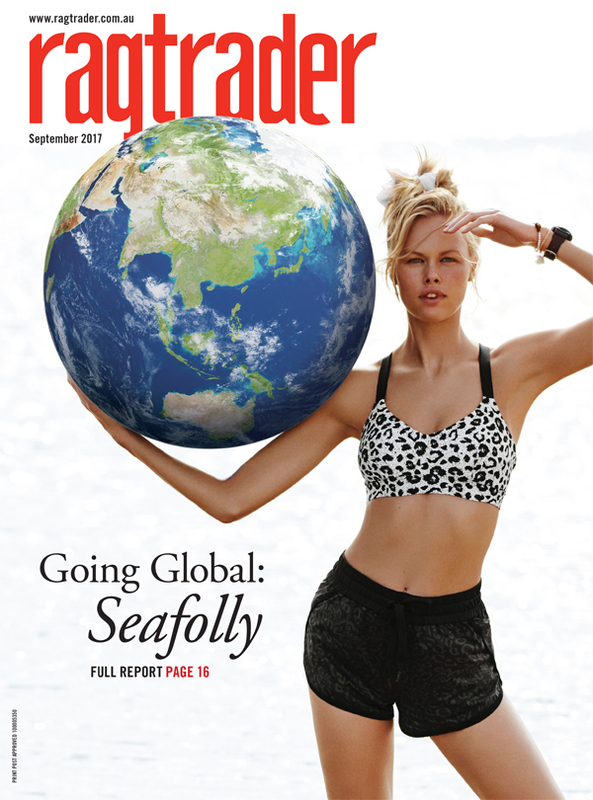 This week’s global retail news feed includes a story about Target US (different owners) adopting a “low price” philosophy as the best way to meet current consumer sentiment. Given the discounting war with our supermarkets, the studies that show milennials have little attachment to non-status brand names, and the move to generic unbranded goods, the concentration on price as “good value” is understandable. Last week's theme on our website was to encourage innovation (we called it breaking things). The next step is to gain approval for your innovation idea so we had a chat with a senior management member this week and came up with the following advice. The system these days is not as structured as it used to be. Traders are encouraged to come up with ideas. 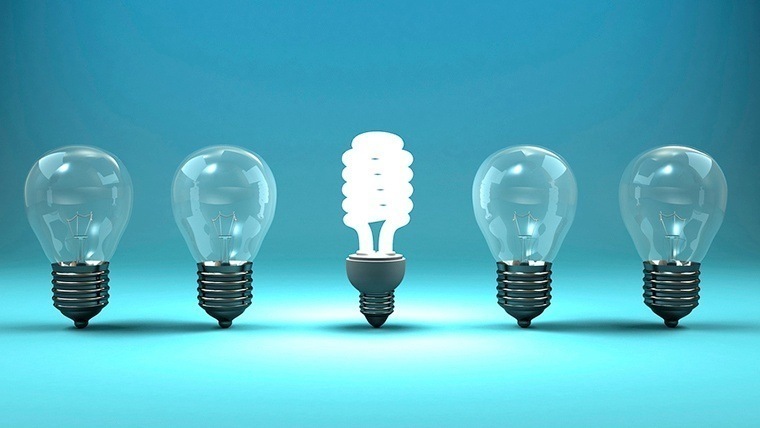 The future of the market relies on new ideas and innovation. The best way for traders to approach this process is to formalise their thoughts so different levels of management can consider the proposal. The first port of call for an innovative proposal should be Category Managers although, whatever you do, a comprehensive written proposal is your best guarantee of success. All proposals will be considered and there are some ingredients that we know are on the top of QVM’s wish list. 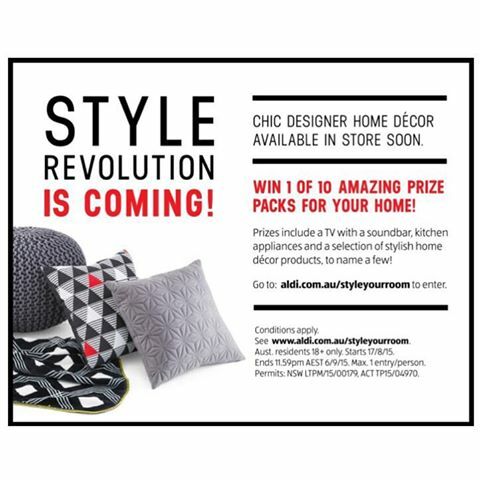 Those things will include Melbourne Made, Aussie Made, and Regional Victoria Made. And there are important aspects of modern consumer expectations including environmental and social sustainability. A trader will be concerned primarily about profitability but these days that will almost certainly include some more expansive considerations. Let’s put it this way – your idea to create increased profitability will have a better chance of success if it ticks some other important consumer and community expectations like environmental and social sustainability. One more thing you should do before preparing your proposal is to read the QVM Retail Plan (click here). That plan is what drives market decision making, and accommodating its aims in your own plan gives you a better chance of getting a “Yes” to your innovation proposal. A Hard Fact: One trader lamented this week that he spent years of sacrifice and hard work creating his business and meeting the needs of his customers. When he got that bit right he set about fitting in a family life and all was good. But then someone moved the goal posts (the retail revolution) and he feels like he is starting all over again. Many traders will relate to that sentiment. A Friendly Face – a friendly face and one of our market’s true gentlemen, was shopping in the market on Saturday. It was great to see you Sam. Rent Falls – apparently the CoM financials on QVM released this week show a $1.1m decline in stall holder revenue, from $18.2m in 2016 to $17.1m in 2017. Traders Survey – a survey inspired by TRC Representatives was distributed in parts of the top end on Friday with traders asked their views on extending trading hours and the possibility of an additional night market. There were complaints that the nominated 3:00pm and 4:00pm closing times didn’t go far enough but traders generally were pleased to become involved in the debate. Instagram Beats Facebook For Business Exposure? – One of our traders has experimented with both Facebook and Instagram for their social media marketing but claims that Instagram gives better results, particularly if a business or person with a large following tacks on to your posts. The ability to adjust your Instagram tags and adjust your customer focus is seen as a plus. Better Way For Rent Payments – a trader has suggested that instead of referencing invoice numbers when paying rent online we should simply reference trader numbers. Invoice numbers change each week and errors can be made in recording, whereas trader numbers are committed to memory and unlikely to be mis-quoted. New Management Structure - we understand that Paul Guerra has not been idle in his role as interim CEO and a new management structure is in the wind. We look forward to seeing how the management team will be structured as we move into the renewal phase. Overheard During a Discussion On Trading Hours - a group of traders talking about the option for a night market for day traders and which night would be best. "Wednesday night" said one. "We already have a Wednesday Night Market" said another. "That's OK - I don't mind sharing with them." Amazon Could Open By Christmas – there is speculation that the progress by Amazon in preparing a South Dandenong warehouse, recruiting staff, and placing product orders, could mean an opening a soon as mid-October 2017. With much to learn about the Australian market, it is expected that initially Amazon will concentrate on price cutting as its key offer. Stagnant Retail Sales In July – Australian retail sales in July went nowhere as a disappointing result in June continued to influence sales trends. 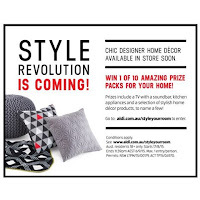 Aldi and Homewares – Aldi have always had a homewares component in their discount offer but the recent introduction of a “Style Revolution” with “upscale refinement to your home” suggests they are getting more serious about this category. Nike’s One Hour Shoe Designs – we reported recently on Victraders about major sports shoe manufacturers using 3D printing technology to manufacture shoes. Nike are experimenting in New York with a workshop where you can select from thousands of graphics or create your own on the spot phrases and have your shoe design on your feet in one hour. 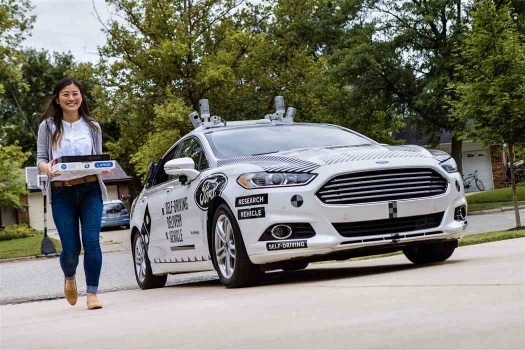 Driverless Pizza Delivery – Dominos Pizza and Ford are working together in the US to trial pizza delivery by driverless cars. In simple terms, you order your pizza online, track the delivery vehicle, and when it arrives, go out and open up the boot for your order using a unique code. Shopping Centres Off the Market – Global private equity firm, Blackstones, has taken its retail portfolio (including Sydney’s Top Ryde and Melbourne’s Greensborough Plaza) off the market and instead will concentrate on improving the properties. Interested potential buyers included AMP and Lendlease. Plastic Bag Ban In Queensland – from mid next year shoppers will not be able to get their purchases in single use plastic bags. The ban will include degradable and biodegradable bags. Coles Experiments With More Delivery Options – Last week we reported on the link between Coles and Uber for home deliveries and now Coles have announced a trial with Deliveroo, the bicycle based fast food delivery service. Deliveroo have been delivering “food packs” such as BBQ essentials in Melbourne’s inner-east since earlier in the year and all with a 30 minute timeframe. Aldi Upgrades Fresh Food Offer – Analysts are saying that Aldi’d decision to increase fresh food floor space from 15% to 25% has proved a winner as they eat into the market share of the bigger supermarket chains.